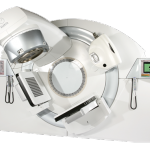 For those diagnosed with cancer, many will face the need for radiation therapy. In the United States today, nearly two-thirds of all cancer patients will receive radiation therapy as a part of treating their cancer, with breast cancer, prostate cancer and lung cancer comprising 56 percent of those patients who will receive the therapy. For these patients, the therapy is crucial, since in 75 percent of the patients treated with radiation, the treatment is meant to be curative. For this reason, the need for up-to-date news and information about radiation therapy and the side effects of the treatment, such as Radiation Dermatitis, has remained unmet on the web today. Radiation Therapy News is committed to sourcing, writing, and publishing news content on the subject of Radiation Therapy and Radiation Dermatitis that otherwise goes unnoticed by the health and medical news community. For most patients, dealing with the ill effects of Radiation Therapy can be so difficult that many abandon the treatment. Our staff of talented journalists and scientists work to create a “24-hour news cycle” for all science, health, and research news pertaining to Radiation therapy, keeping the patient population well informed. DISCLAIMER: Radiation Therapy News is a science and health publishing website that occasionally writes about clinical trials taking place in the Radiation Therapy research community. The information provided on this site is designed to help educate patients on clinical trials that may be of interest to them, based on the topic of the story, and to help patients contact the centers conducting the research. Radiation Therapy News is neither promoting research nor involved in conducting any clinical trials. Some study summaries have been edited for clarity purposes to make them easier to understand. 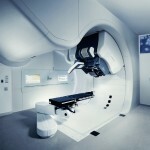 Note: Radiation Therapy News is strictly a news and information website about the disease. It does not provide medical advice, diagnosis or treatment. This content is not intended to be a substitute for professional medical advice, diagnosis, or treatment. Always seek the advice of your physician or other qualified health provider with any questions you may have regarding a medical condition. Never disregard professional medical advice or delay in seeking it because of something you have read on this website.